Baldivis Gardens Primary School opened in February 2017 with 219 students and is an Independent Public School catering for students from Kindergarten to Year 6. It is the sixth public primary school in the growing suburb of Baldivis. Our focus is on the explicit teaching of Literacy and Numeracy and the provision of rich and varied learning opportunities that develop the whole child, catering for their academic, physical, social and emotional needs. Initial data collection has indicated the need to implement evidence based, consistent, whole school approaches to the teaching of Literacy and Numeracy with an unrelenting commitment to individual student progress. The establishment of a positive school culture with clearly articulated high expectations of the students, staff and parent community and the creation of an orderly and consistent learning environment is seen as a priority. The school is situated on land that has a rich history and was previously used as a flower and market garden, hence the name Baldivis Gardens Primary School. 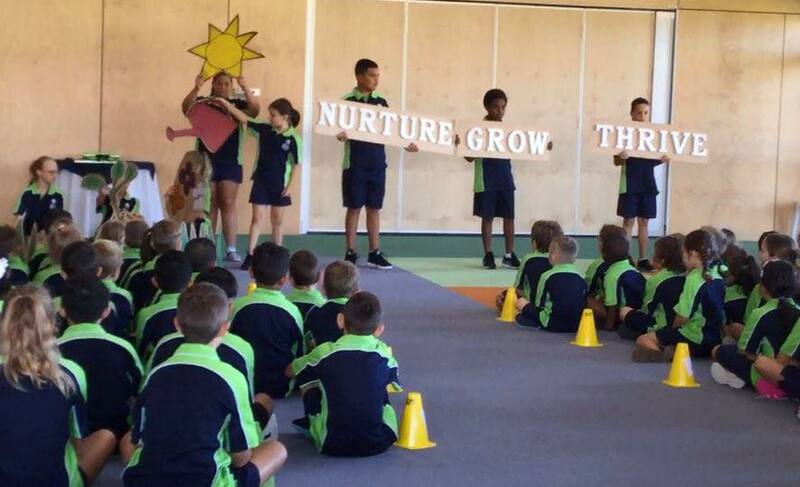 The school is keen to work alongside local Aboriginal elders, other long-term residents and local community groups and businesses to use the school’s rich history as a focus for student learning, through an integrated cross-curriculum project titled ‘From Forest to Garden’. The Baldivis Children’s Forest and our own school garden will provide the focus for integrated studies including Humanities and Social Sciences, Science and Languages. With strong personable leadership provided by an experienced principal, professional and capable staff , and a parent community committed to sharing the responsibility for their children’s education, Baldivis Gardens Primary School provides ‘excellence’ in public school education delivering ‘high performance with high care’. 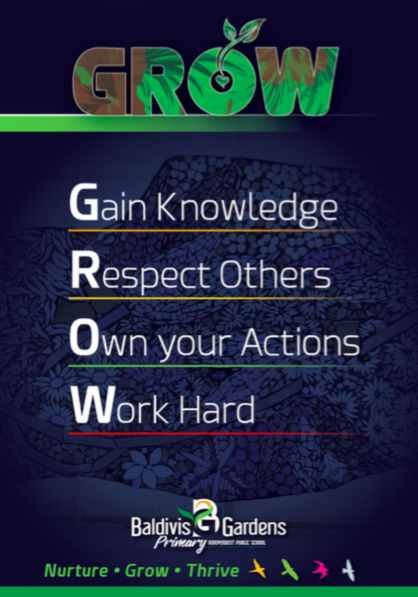 To nurture students in a safe and supportive learning environment where parents and staff take shared responsibility for student growth and development, resulting in students who thrive and a community that flourishes.